Alice Town, North Bimini, The Bahamas (June 7, 2017) – With four new wrecks, summertime in Bimini just got even sweet-ah! Book any of Bimini Big Game Club’s 3-night or longer Dive + Hotel Packages to dive these amazing new wreck sites and get a free Reef Shark Safari Upgrade too! Details here: http://biggameclubbimini.com/special-offers/#bimini-dive-specials. All of the Dive + Hotel Packages include accommodations at the Bimini Big Game Club Resort & Marina in a standard room; daily two-tank dives (excluding arrival and departure dates); use of tanks, weights and belts; all room taxes, service taxes, energy taxes and resort fees. 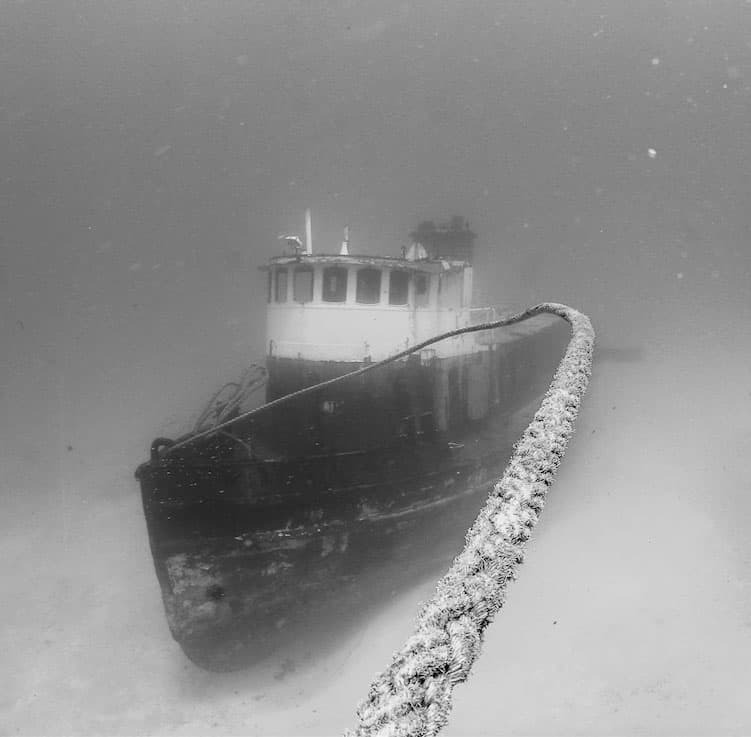 Last month Neal Watson’s Bimini Scuba Center, in collaboration with Resolve Marine, Key Construction and Shannon Bullard and The Rock Shed Crew, sunk the 165 ft long J.P. Kipp Barge just miles off North Bimini. Next came a 90 ft long Tug Manatee, a 70 ft long Landing Craft, dubbed “The Lady in Red” and a 30 ft Cuban Refugee Boat – all sunk in the same area. All at a depth of 85 ft and within swimming distance, the 4 boats make up what is now called “The Coach Sugar Memorial Dive Site”. To book, please contact dive@biggameclubbimini.com or call (800) 867-4764 or (954) 615-1011. For more information, visit http://biggameclubbimini.com.